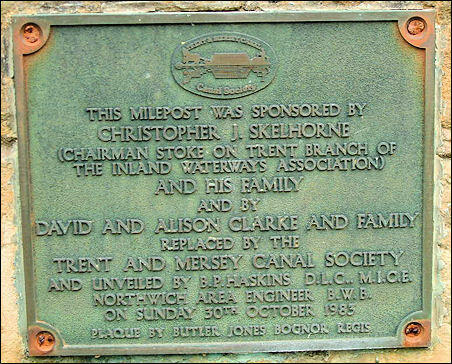 Canal milepost. 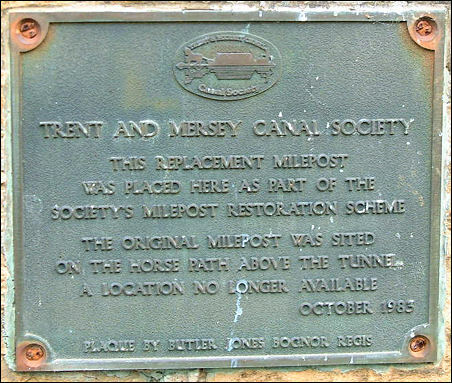 Originally probably 1824-1827 but recently recast. 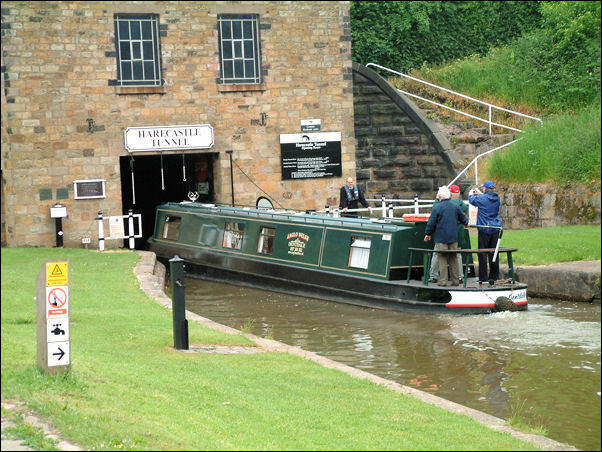 Cast-iron. 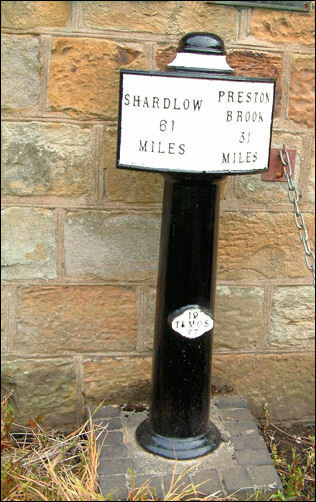 Cylindrical column carrying 2 panels inscribed thus: "Shardlow 61 Miles and Preston Brook 31 Miles".